Kelly Ann Lavelle | Thomas Paschos & Associates, P.C. 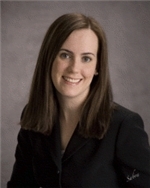 Kelly A. Lavelle is an attorney with Thomas Paschos & Associates, P.C. in Haddonfield, NJ and Philadelphia, PA. She is admitted to practice law in New Jersey and Pennsylvania, as well as the United States District Court for the Eastern District of Pennsylvania and the United States District Court for the Middle District of Pennsylvania. She received her J.D. from the University of Villanova School of Law in 2000. “A modified approach to the ‘case within a case’ methodology in legal malpractice cases,” Professional Liability Defense Quarterly, Spring 2012, Volume 4, Issue 2.